Product prices and availability are accurate as of 2019-04-20 04:45:36 EDT and are subject to change. Any price and availability information displayed on http://www.amazon.com/ at the time of purchase will apply to the purchase of this product. 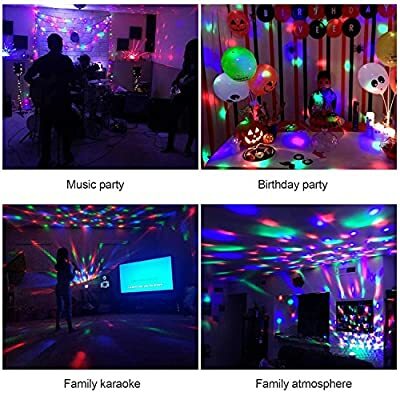 1.The music lights have a cool pattern and 7 RGB colors (red, green, blue, red / green, blue / green, red / blue or all colors); it can create a beautiful colorful lighting effects.You can choose the color of the light according to your mood. 2.Highly impressive colour display to impress your guests at home or parties. 3.The remote control has different speed modes and can be adjusted easily, once the light is securely fitted. 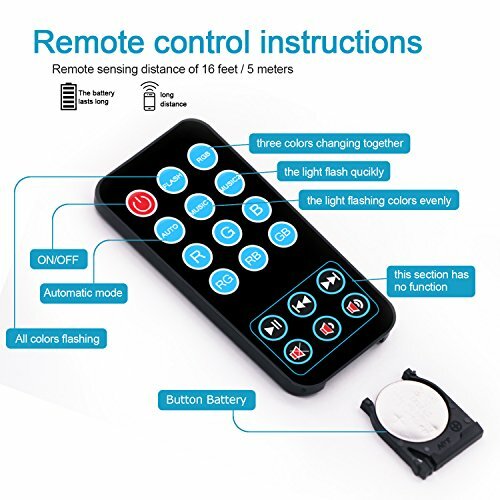 Please pay attention: Before you use the remote control, please pull out the transparent divider under the remote control, then you can use it perfectly. 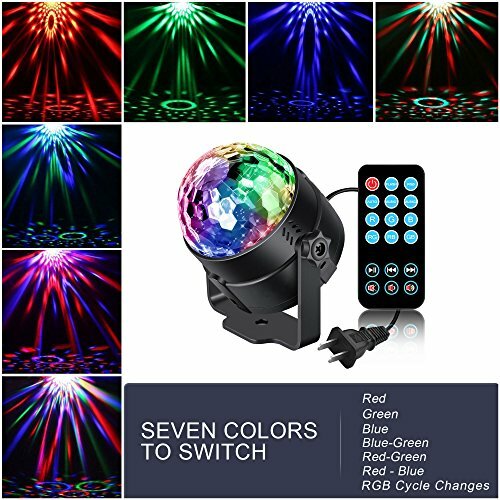 ［7 COLORS］Music lights with cool pattern and 7 RGB colors changing, the lights with remote control to change the color and speed, choose the colors according to your mood and the theme of parties. Easy to create dynamic and vibrant atmosphere. 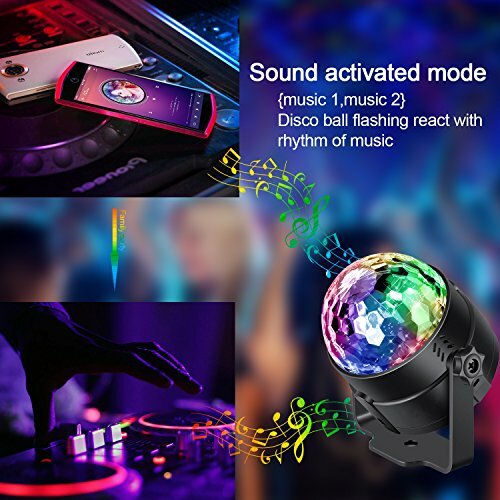 ［3 MODES］MUSIC MODE: a perfect mode for any parties, led lights will dance to the rhythm of the music. AUTO MODE: automatically changing colors after you plug in without switching any button. FLASH MODE: lights can flash or disappeared quickly as the music rhythm changes. ［PERFECT FOR PARTIES］The disco ball light is best design for home, festival,birthday parties, dancing hall, anniversary, christmas, garden,pubs, outdoor. 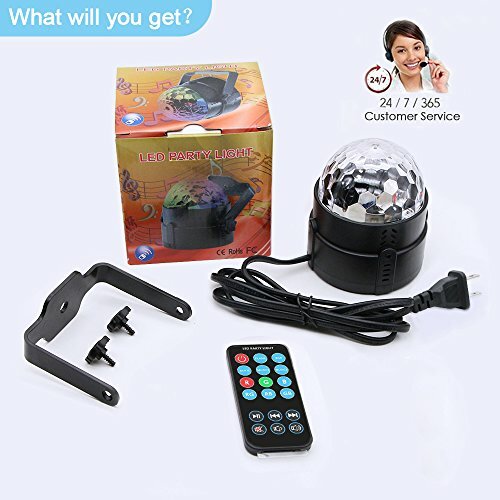 The flashing ball will be a creative and perfect gift or toy for girls, boys,and adults. 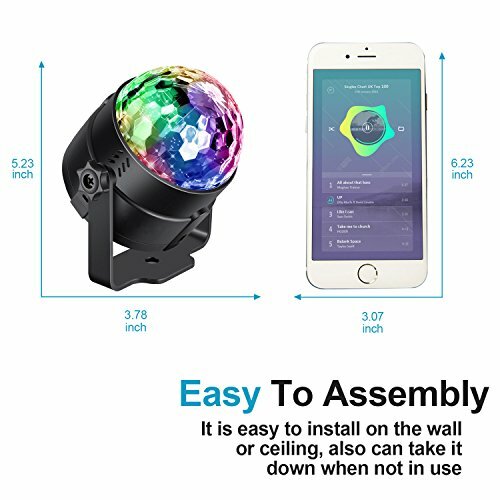 ［EASY TO OPERATION & CARRY］Dome lamp design with bracket, and easy to operate,The portable magic ball is super bright with a small size. It can be placed directly on a table, the floor,desk and it can be fixed on the wall. ［WARRANTY］We offer 100% risk-free guarantee and 1 year warranty. If you still have questions after your purchase, please contact us by e-mail we will assist you within 24 hours.